We are process-centric; our organizational focus is on how we do things and lessons learned rather than just results; the customer is always at the center of what we do. 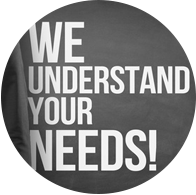 All of our processes revolve around the customer's business needs. We work closely with the customer and continuously incorporate and fine-tune our processes based on customer feedback, creating even greater value. Our process-driven knowledge-sharing ensures good communication and enables us to adapt to change with greater ease. Tools and framework designed and developed by our in-house team improve efficiency and assure the quality of our deliverables. These tools are continuously updated in line with evolving requirements. The feedback from the in-house testing team, copyeditors, and the client are reviewed and incorporated in further development. SpiralUp's pre-edit tool package consists of a set of programs that clean, structure, and style the raw manuscript according to house-specific style. 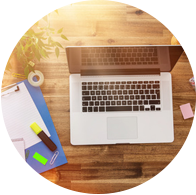 Copyediting-aid tools such as the word usage consistency report generator, US/UK spelling and punctuation validator, abbreviation report generator, and a style-adherence quality monitor help SpiralUp's editors in delivering error-free output. SpiralUp is a process-centric firm that uses tools and processes for tracking all projects on a daily basis facilitating effective management of tasks. 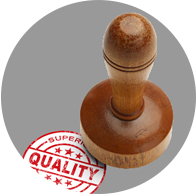 The quality management system of SpiralUp conforms to existing quality standards but is flexible enough to incorporate new standards to meet client requirements. Our quality system addresses the eight core quality management principles: customer focus, leadership, people involvement, process approach, system approach to management, continual improvement, factual approach to decision-making, and mutually beneficial client relationships. These principles form the process framework for every client engagement.